For a couple of years i have offered downloads of my work on my website for donations in the spirit of sharing and have always been met with generosity. Now i want to go deeper with this. For sometime now, as my work with shamanism/ Nature connection, rites of passage and women and girls has taken off, i have been struggling with how i see the sacred being sold, with it being turned into a business…including in my own business. The thing i find most difficult is when this happens in the sisterhood circles and when it infiltrates the rise of the divine feminine and the work of the women on this earth. We should know better. Women’s work is the work of community and the circle., its the path of a spirituality of helping each other and especially caring for and restoring our mother earth. Some of the women in my sisterhood circle have been feeling the same…disheartened with the hard sell that has started accompanying the rise of the path of the wise woman, medicine woman, healer, etc etc…..just as the earth is not for sale, the sacred is not for sale..
All the prophecies that talk of the changes that are happening on earth and the rise of the feminine in restoring the land and restoring ourselves did not talk of the women charging huge amounts to others to do this work! …..Surely this is the old world, surely we are following in the tracks of the patriarchy when we start to see our work as a business to enable us to become well known and wealthy…I feel like we are making a huge mistake if we just blindly follow the patriarchal business model that dominates our culture and society. I listened in on the work of a beautiful sister online the other day and what she is offering to the world and to other sisters is so vital and needed that my heart sang to hear what she had to say….That is until it reached the end of the talk when the teachings were lost amongst the hard sell…book early get your special this or that, book now before the cost goes up later loads, get a free this or that when you sign up…blah blah…. untruthful words just to get you to sign up. We women…all women ( and brothers ) have our own innate wisdom, our deep inner knowing , intuition and guidance from which we could access all the same teachings that she was offering…surely we can decided if the course is meant for us, if we feel its the right thing for our own growth without being given the spiel to make us buy in…. We are all wise women and we are all part of the scared hoop , the sisterhood circle , together we share, together we learn and grow, together we heal. For sure we need other sisters and brothers to guide us and to open us up to the deep connection and healing that allows us to access our own innate wisdom…but that’s all we are, guides, and what we are sharing comes from a higher place.. I really understand why the native people get upset when they feel we are selling their traditions, their sacred work is part of their culture and comes from the deep connection they had with the land and with spirit…all their teachings and traditions flowed from this place. I have experienced my work, work that i have received from my own connection and guidance being taken and sold… this felt like a betrayal of the sacred space in which it was shared and lack of value for me and my medicine. At the end of the day it is all a giveaway…but what is happening here is that the wise woman’s way is becoming distorted as women rise up and step into their power, and then decided to play the white mans/patriarchal game by seeing sisterhood, womens teachings and the sacred as material to make money, material to get more followers, material to run their business and then make it cost so much that most can not afford it. Its becoming rife, a monster that cant stop as we becoming more and more hooked in to social media, we are crazily trying to keep up and prove something to the world….Sisters we dont have too…all we have to do is come back to the sacred circle and share with each other from a place of love…the patriarchal business model breeds competitiveness, and disconnection. What example are we giving to young people….messages that they need to pay someone else a lot of money so they can learn to be spiritual or to be natural or connected…!! I one sat in council with 2 indigenous grandmothers from the 13 indigenous grandmothers and saw there way of being…The eco community who were facilitating the event had placed the chairs in rows with the grandmothers at the front…the first thing they did before they spoke was rearranged the chairs into a circle..it was a huge circle as there where so many people there. They were adamant that they were just part of the circle, the same as the rest of us….i learnt so much from that. How do we step up into our power and calling, get our work out there, and provide for our families in a good way?? How can we be in the circle and earn money? ?…i dont know for sure, but surely we can find a new ways that comes from our true feminine nature, together?? For a couple of years now i have offered downloads of my work on my website for donations in the spirit of sharing and have always been met with generosity. Now i want to go deeper with this. All we are learning, teachings, healing and sharing is needed because it is our way back to natural living!! in the end we will just be living this wisdom that is being sold as we are all waking up and connecting….we will all be out of a job then!! I want to find a way forward in a good way and share my medicine and wisdom in service of mother earth and all our relations. What is my guidance…the same as yours?! To step fully into deep trust, to let go of the old ways of being, connect more deeply . 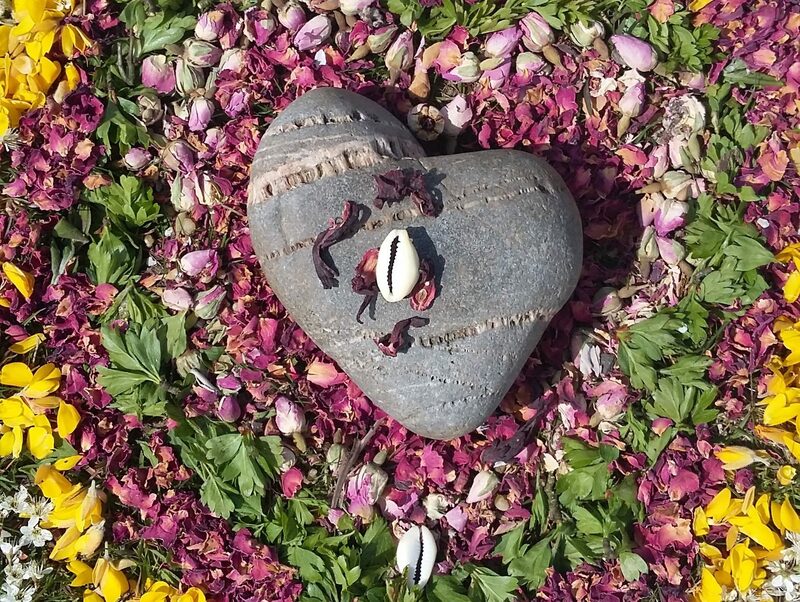 I step into trust and understanding that i am part of the sacred hoop and from now on offer my online work for donations….in the spirit of the gift economy, i trust that i will be valued by my sisters who want to step into the circle with me and learn from me. In the spirit of connection to the universal flow i trust that i will be provided for. In the spirit of gratitude for the guidance and healing i receive every day i offer my work as a giveaway. I offer my work as donations, in the spirit of sharing and they are my offerings towards making a change in the world, to help the human family back to their rightful place, in harmony with our sweet mother earth and the spirit that moves through all things. My prayer is that my attempt at helping to create new culture born of the land will flourish, and these stories will go a long way. I invite you all to join me in finding new ways to be successful in our work and to live our calling and to honour spirit, life and the sacred at the same time. I agree with you about the money.